Normally that’s my “shooting” face, this time I’m making that face because I’m missing so many plates. 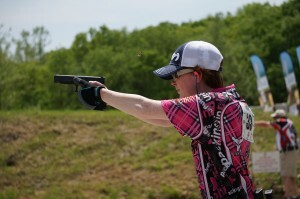 This year, I shot Bianchi Cup with a Glock 34 – absolutely stock. Stock trigger, stock sights, everything fresh out of the box. I only put about 50 rounds through the gun before heading down to Missouri. I figured I had spent enough time telling people to just go buy a G34 or M&P Pro for their first competition, I should find out what it was like to shoot one fresh out of the box. It was a very educating experience. My score suffered from last year, down about 60 points. Having gone from shooting a Nighthawk Custom in Metallic to a stock G34 I was fairly happy with that small price. There were a couple of things that made me miss my M&P while shooting the Glock; the trigger was heavier than my Apex-kitted one, for example. The biggest issue I had though? The sights. The Glock has a very large rear sight. The notch sight itself doesn’t bother me, but the sheer size of the sight blocks peripheral vision. “What do you need peripheral vision for when shooting Bianchi Cup?” You may ask. I can tell you exactly where it messed me up, and the proof is in the score: the steel plates. When I’m shooting the plates, I take my shot and during follow through transition my eyes (followed by my gun) over to the next plate. It worked well for me last year, where I shot 36 out of the 48 plates (not bad for my skill level and my first Cup). The read sight on the Glock was so big that the plate next to my gun was blocked, meaning I was more or less searching for the plate in my sights and, well, the whole thing was kind of a train wreck. I came out of this year having shot 20 out of the 48 plates. I hate blaming my performance on equipment, I’m a big believer that you should be able to perform well with any equipment. However, in this case, I have to look at it and say, “Yep, that messed me up a bit.” What it comes down to is that I should have practiced more and figured out how to shoot the plates with those sights on my gun. So there you have it. I hate the rear sights on the Glock 34. 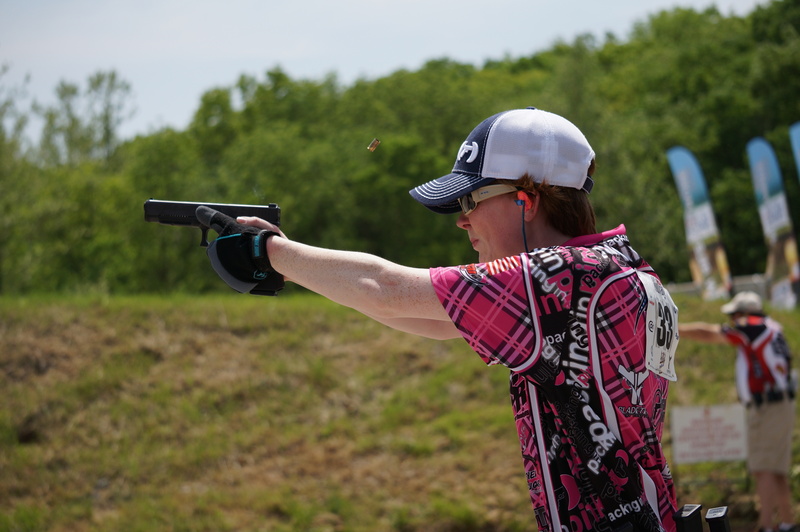 Don’t worry though, I won an FNS9L at Bianchi Cup and it will have Sevigny Performance sights on it pretty quickly.